"He's not happy and he shouldn't be happy," Maddon said at soring training on Saturday. "I really don't blame him. The guy has really performed very well for us at different periods of time on the major-league level. He is so ingrained in the culture within the building and within the clubhouse. Great teammate. A lot of the veterans have accepted him very readily, which doesn't happen often with young players." At Iowa, Happ is expected to get time in centerfield, second base and third base. 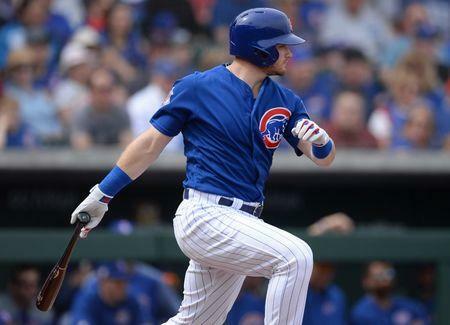 The Cubs also are hoping he'll get more comfortable batting from the left side of the plate.